One of today's favourite weight loss supplements would have to be Apple Cider Vinegar. Although this is by no means a new miracle remedy. It has in fact been around for centuries. Now for something to still be in use after such a long time, surely it must hold some kind of magical properties. The magic is in the many minerals and components. There are 19 minerals and 93 components all very beneficial for maintaining a healthy body. 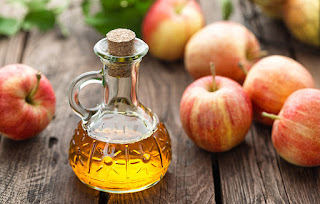 Benefits that come from using apple-cider vinegar, either in vinegar or apple cider vinegar capsules or pill form, include reduced cholesterol, reduction of blood pressure or as a relief from headaches and eczema. However I am not a Doctor or pharmacist and cannot say for sure of these things, but I can tell you that I have tried apple-cider vinegar supplements, for some weeks now, in replace of food and have found that I have made a significant loss of fat. Apple-cider vinegar is made through the fermentation of apple-cider, where the sugars and yeast break down to create alcohol and then further into vinegar, which can be used in cooking. It can be used much like other vinegars such as white wine vinegar. As it is been found to have certain properties to increase metabolism, which when eaten with other foods make you feel fuller quicker than normal, during meals. This may be why it is used as a weight loss tool. Using apple-cider vinegar as your main food supplement, either in capsule or pill form to make up the bulk of your diet plan, is entirely your own choice. I would strongly recommend that you research the subject first, and/or seek advice from a professional dietician, your local GP or pharmacist, before committing yourself. This should be true with any weight loss program or diet plan you may begin as there may be some safety concerns or possible side-effects to take into consideration.